Adoption of Policy and Regulations - Legal Authority. This ABC Unified School District ("District") Citizens' Oversight Committee Policy and Regulations ("Policy and Regulations") is adopted and established by the Board of Education ("Board") of the District pursuant to the provisions and requirements of Article 2 of Chapter 1.5 of Part 5 of Division 1 of Title 1 of the California Education Code 15264 et seq., (hereinafter the "Law") and pursuant to Education Code Section 35160. This Policy and Regulations shall apply to the District and each Oversight Committee (as defined below). On November 7, 2000, California voters approved Proposition 39, the Smaller Classes, Safer Schools and Financial Accountability Act (School Facilities; 55% Local Vote; Bonds, Taxes; Accountability Requirements). The central purpose and legislative intent of Proposition 39 was to ensure that the expenditures of bond measures are in strict conformity with the law; that taxpayers directly participate in each Oversight Committee reviewing applicable bond expenditures; and that members of each Oversight Committee alert the public to any waste or improper expenditure of school construction bond money. The provisions of Proposition 39 include various accountability requirements as further discussed herein. In association with the approval of Proposition 39, the California Legislature passed, and the Governor signed, Assembly Bill 1908 ("AB1908"), which provides additional requirements relative to school district general obligation bond elections conducted pursuant to Proposition 39. Those requirements include provisions requiring school districts that are successful in a Proposition 39 bond election to establish, appoint and support a citizens' oversight committee, as required by the Law. This Policy and Regulations were adopted by the District pursuant to the Law in order to provide procedures for the District's Citizens' Oversight Committee(s) ("Oversight Committee(s)") and to address related matters. "AB 1908" means Assembly Bill 1908 of the California 2000 Legislative Session, being Chapter 44 of Statutes of 2000. "Board" means the Board of Education of the District. "Bond(s)" means those general obligation bonds, or general obligation bond anticipation notes, or any combination thereof, of the ABC Unified School District (or any school facilities improvement district formed by the District) as authorized by the approval of a bond measure at an Election by the voters within the District (or the applicable school facilities improvement district) and issued pursuant to State law. "Brown Act" means the Ralph M. Brown Act, being California Government Code Sections 54950 et seq. "Oversight Committee(s)" means each ABC Unified School District Citizens' Oversight Committee fanned and appointed by the Board pursuant to the requirements of the Law and this Policy and Regulations. 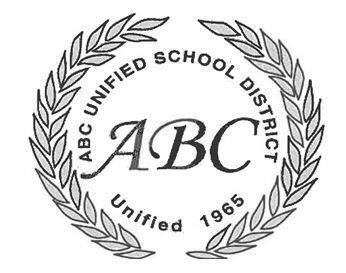 "District" means the ABC Unified School District. "Election" means each general obligation bond election conducted within the boundaries of the District (or any school facilities improvement district formed by the District) pursuant to the provisions of Proposition 39 and applicable State law. "Law" means Article 2 of Chapter 1.5 of Part 5 of Division 1 of Title 1 of the California Education Code (being Education Code Sections 15278 et seq.) and as such may be amended from time to time. "Proposition 39" means Proposition 39, the smaller classes, safer schools and Financial Accountability Act (school facilities; 55% local vote; bonds, taxes; accountability requirements) as approved by the California electorate on November 7, 2000, and as such may be amended from time to time. The Board shall establish each Oversight Committee, and initially appoint a minimum of seven (7) members to each such Oversight Committee, not more than sixty (60) days after the Board's certification of the corresponding Election results in accordance with the purpose, parameters, policies and regulations set forth in State law and herein. The Board, in its discretion, may increase the number of members of an Oversight Committee at any time, provided that each Oversight Committee shall always have an odd number of members (unless otherwise directed by the Board). In addition to the State requirements, the Board has a stated goal that a majority of the members of each such Oversight Committee have, to the extent practical given applicants and candidates, knowledge and experience in the fields of accounting, construction, architecture design, public financing, contract law and/or building program management. Pursuant to the provisions of State law, each successful Election shall have a separate Oversight Committee appointed therefor (unless State law allows otherwise). Each Oversight Committee shall undertake and accomplish those matters expressly stated in, or directly provided by State law, District Resolution No. 18-55 and this Policy and Regulations and as such may be amended from time to time. Each Oversight Committee shall initially consist of a minimum of seven (7) members and at no time consist of less than seven (7) members, subject to the provisions of Sections 4.0 and 7.0(d) hereof and any vacancies which may occur. any person who has as an immediate family member (spouse, child or parent) who is an employee or official of the District or any vendor, contractor or consultant of the District. One (1) member shall be both a parent or guardian of a child enrolled in the District and active in a parent-teacher organization, such as a parent-teacher association or school site council. In addition the State requirements, the Board of Education of the District has made a commitment to help ensure that a majority of the members of each such Committee have, to the extent possible, knowledge and experience in the fields of construction, architecture design, public financing, contract law and/or building program management. Five (5) members of each Oversight Committee must satisfy the requirements set forth in VI, Section 6.0, (c)(i-v) hereof. The five (5) members appointed pursuant to VI, Section 6.0, (c)(i-v), must individually represent one of the five (5) groups set forth in Section 6.0, (c)(i-v) hereof. One member may represent more than one (1) of the groups, so long as the remaining four (4) members individually, distinctly and separately satisfy the remaining four (4) groups. In making the appointments of the remaining and additional Oversight Committee members the Board may, in its discretion, consider the various factors set forth in Section 7.0(d) hereof. The Board may remove an Oversight Committee member during his or her tenure consistent with the provisions of applicable law. Oversight Committee Appointments, Term and Vacancies. The initial members of each Oversight Committee shall be appointed by the Board not more than sixty (60) days after the Board's certification of the corresponding Election results as required by the Law. Appointments shall be discussed and made in open session in accordance with Government Code Section 54957. The Board will solicit applications (which may occur through action(s) of District staff as directed by the Board) for appointment to an Oversight Committee and may require candidates for membership on an Oversight Committee to submit information on a stated form. Important information regarding the application form and the application process will be posted on the District's website at www.abcusd.us (or such other internet address(es) as may be utilized from time to time). The Board has authorized the Superintendent, or the Superintendent's designee(s), to advertise for and solicit candidates for consideration of appointment to the initial Committee, to review applications submitted to the District for Oversight Committee membership and make recommendations to the Board to assist the Board in appointing Oversight Committee members. In making its appointments, the Board shall satisfy the necessary statutory membership requirements on each Oversight Committee as set forth in Section 6.0(c) hereof. In making its appointments to each Oversight Committee the Board may, in its sole discretion, consider various factors applicable to each candidate, including, but not limited to, (i) residency within the boundaries of the District, (ii) whether the candidate is a registered voter within the District, and (iii) the professional and educational background of any prospective Oversight Committee member, which may include experience in construction, property, facilities management or finance matters or other factors which tend to support or complement the purposes of each Oversight Committee. Each Oversight Committee shall initially have seven (7) members; however, the Board retains the right to appoint additional members to each Oversight Committee provided that each Oversight Committee shall always have an odd number of members (unless otherwise directed by the Board). In the event that the Law is amended to require a different or greater number of Oversight Committee members, the Board shall, within the time set by California law, take action to appoint appropriate Oversight Committee members as shall be required. Any appointee to each Oversight Committee shall be required to comply with the requirements and limitations of Section 6.0, 7.1, 7.2 and 8.2 hereof. Each Oversight Committee members shall serve for a term of two years without compensation. Members may be appointed by the Board, in its discretion, for no more than three (3) consecutive terms as provided by the Law. The Board may, in its discretion, rotate Oversight Committee member terms in order to maintain a level of experienced membership on the Committee. A member of each Oversight Committee may serve multiple non-consecutive terms as the Board may determine or direct. The term of office of an Oversight Committee member shall end upon the completion of their two-year term, as determined by the Board, or in the event that a vacancy for that Oversight Committee member's position is determined by the Board as set forth in this Policy and Regulations. In the event that a Oversight Committee member is appointed to fill a vacancy on each Oversight Committee, the Board may appoint such member for a term as set by the Board, subject to the limitations of State law and these Policies and guidelines. The term of office of a Oversight Committee member may end prematurely in the event that each Oversight Committee terminates pursuant to the provisions set forth in Section 11.0 hereof. In the event that any vacancy on an Oversight Committee occurs, by way of resignation or otherwise, the Board may, in its discretion, appoint a replacement Oversight Committee member for each vacancy to serve for the remainder of the unexpired term of the vacating Oversight Committee member, or to serve for an initial two year term (as shall be determined by the Board at the time of making the appointment), in a manner it determines to be consistent with applicable law. In the event a vacancy is determined, such Oversight Committee position shall remain vacant until the Board appoints a new Oversight Committee member for that position. Following the determination of the vacancy on an Oversight Committee, the Board shall follow the procedures set forth in Section 7.0 hereof to fill such vacancy within a reasonable period of time (subject to qualified candidates and applicants). The power to fill vacancies on each Oversight Committee is expressly reserved to the Board. In making appointments to fill vacancies as set forth in this Section VII, the Board shall make appointments such that the five (5) representative groups, as set forth in Section 6.0(c) and (d) hereof, shall be maintained. Service Without Compensation. As set forth in the Law, members of each Oversight Committee shall serve without compensation. Non-Liability for District Debts. The private and personal property of Oversight Committee members shall be exempt from execution or other liability for any debts, liabilities or obligations of the District or each Oversight Committee, and no Oversight Committee members shall be personally liable or responsible for any debts, liabilities or obligations of the District or each Oversight Committee except where expressly set forth in California law. Each member, as a condition of membership on an Oversight Committee, may be requested to sign a certification declaring that he or she has no conflict of interest as to the issues which shall be before each Oversight Committee. Each member shall expressly be subject to the limitations and requirements of Article 4 of Division 4 of Title I of the California Government Code, being Government Code Sections I 090, et seq. Each member shall expressly be subject to the limitations and requirements of Article 4.7 of Division 4 of Title I of the California Government Code, being Government Code Sections I125, et seq. Each member shall perform his or her duties in an impartial manner, free from bias caused by his or her own financial interests or the financial interests of persons who have supported him or her. Each Oversight Committee member is obligated to discharge his or her responsibilities with integrity and fidelity. Oversight Committee Activities and Meetings. Recommendations regarding the use of cost-effective and efficient reusable plans. Each Oversight Committee shall issue written regular reports of the results of its activities. Each Oversight Committee must issue at least one (1) written report each year or fiscal year, as may be applicable. Pursuant to the requirements of Education Code Section 15280(a)(2), the Board shall provide the corresponding Oversight Committee with responses to any and all findings, recommendations and concerns addressed in the annual, independent financial and performance audits required by subparagraphs (C) and (D) of paragraph (3) of subdivision (b) of Section 1 of Article XIIIA of the California Constitution within three months of receiving such audits. Brown Act Compliance; Public Records. Regular meeting dates, time, and place shall be established by each Oversight Committee and published/posted in accordance with the Brown Act and applicable District posting procedures. All Oversight Committee proceedings shall be open to the public (except as authorized by State law) and shall be subject to the provisions of the Brown Act. Each Oversight Committee may adopt rules and regulation guidelines or similar procedures as may be necessary or desirable in order to comply with the requirements of the Brown Act. All documents received by an Oversight Committee, Oversight Committee minutes and reports issued by each Oversight Committee shall be a matter of public record and shall initially be available on a website established for such purpose. Rules of Procedure and Decorum. Each Oversight Committee may establish rules for the conduct of such Oversight Committee's proceedings. These rules may be enacted by motion or resolution. The rules must be congruent with fundamental concepts as to public agency notice and hearings and may not conflict with State law. Attendance at Board Meetings. Members of an Oversight Committee may be requested to attend the meeting(s) of the Board where the annual financial audit and performance audit, prepared pursuant to the provisions of Proposition 39, are presented to the Board. Oversight Committees, and their members, may not contact District consultants or contractors without the prior permission of the Superintendent. Sufficient resources to publicize each Oversight Committee's conclusions, all documents received by each Oversight Committee, minutes from each Oversight Committee's meetings and reports issued by each Oversight Committee (including establishing, operating and updating each Oversight Committee Internet Website). The Board shall have the discretion to determine what type, manner or means of technical and administrative assistance is necessary to assist each Oversight Committee in achieving its purpose. The Board may also appoint or designate District staff to provide reasonable technical and administrative assistance to each Oversight Committee. The Board shall also consider any recommendations or suggestions made by Oversight Committee members regarding the technical and administrative support. Maintaining Oversight Committee records and responding to Public Records Act requests directed to each Oversight Committee by the public. Public Records Act requests and responses shall be handled according to the same procedures as are applicable to the District in accordance with applicable law and the current requirements of the Public Records Act (Government Code Section 6250 et seq.). Arranging tours and inspections of school facilities and grounds, during normal District business hours, as may be reasonably scheduled by such Oversight Committee as set forth in Section 9.0(c) above and subject to the limitations set forth herein. The District shall, in compliance with Sections 10.0, 10.1 and 10.2 hereof, provide sufficient administrative support and technical resources to conform with the directives and requirements set forth in the Law and within this Policy and Regulations. In covering such costs, the District shall cover such costs as are reasonably necessary or required under State law and this Policy and Regulations in furtherance of each Oversight Committee's express purpose. In the event of a question relating to whether an expense of each Oversight Committee is reasonably necessary, such determination shall lie within the purview of the Superintendent of the District, who shall have the responsibility to provide a final determination on approval of such cost(s). Documents formally received by such Oversight Committee. Presentation of Reports. Reports, including the annual reports of each Oversight Committee, and recommendations of such Oversight Committee shall be presented to the Board. Oversight Committee recommendations for specific actions shall be forwarded to the Board and such District staff members as such recommendations shall concern. Termination of Oversight Committee; Records. Each Oversight Committee has completed and conducted its final meeting which shall be scheduled after notice of 11.0(a) hereof occurs. AU records of each Oversight Committee shall be kept by the District (pursuant to its records retention policy) for a period of at least two (2) years after the termination of the corresponding Oversight Committee as provided for herein. The Board has delegated the Superintendent and the Assistant Superintendent, Business Services/CFO as its designee(s), to assist the Board in implementing the provisions, sections, terms and sub-sections of this Policy and Regulations. The Policy and Regulations set forth herein shall be subject to such later and further amendments by the Board to the extent permissible by applicable law. The Board expressly reserves the right to apply for and pursue one or more statutory waiver(s) of the conditions and requirements of the Law, and, correspondingly, this Policy and Regulations (as may be applicable), from the State Board of Education (SBE) should the Board so determine, in its sole discretion. If any article, section, subsection, paragraph, sentence, clause or phrase contained in this Policy and Regulations shall become illegal, null or void or against public policy, for any reason, or shall be held by a court of competent jurisdiction to be illegal, null or void or against public policy, the remaining articles, sections, subsections, paragraphs, sentences, clauses or phrases contained in this Policy and Regulations shall not be affected thereby.